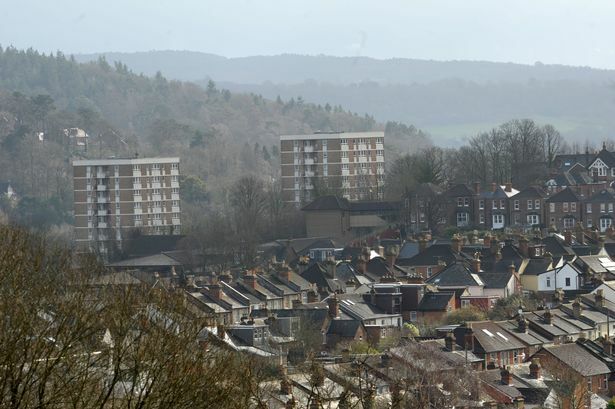 A young couple have said trying to buy an affordable home in Surrey is a “horrendous” ordeal, as figures show the number of new properties fell to an almost record low this year. Only 580 affordable homes became available across the whole of the county between April 2013 and March 2014, according to government figures collated by Trinity Mirror’s Data Journalism Unit. That’s nearly 200 homes fewer than the 760 added to the market in the previous annual period – a fall of 23.7%. In only two financial years since 1991/92 have there been fewer affordable homes built. Young Guildford couple Jenny and Ben Thornton, both music tutors who currently rent a two-bed flat near Merrow, have struggled to find affordable housing. Jenny, 24, and Ben, 26, planned to move into a part-buy, part-rent house in Guildford through a housing association, but it fell through at the last minute after their mortgage application was declined. Jenny went on: “Because we are young and self-employed, and do not have as stable an income as a solicitor or teacher, it is difficult. But we have been renting for five years and never missed a payment. “Renting and buying in Surrey is horrendous, but it is such a nice place that we just don’t want to move away. “We may be young, but as my mum says ‘you don’t want to be retired and still paying off a mortgage’ so we wanted to get a good start in life. Waverley was one of the 10 worst hit areas in the country with a massive 83% drop in affordable housing according to the figures, after just 20 homes were added in the 2013-14 financial year compared to 120 previously. Jeremy Hunt, MP for South West Surrey, said: “Providing more affordable homes in all regions throughout the country is imperative and something that local authorities are looking at closely. Spelthorne and Surrey Heath are not included because figures were not available for the 2013/14 financial period.